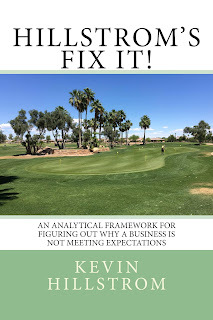 Kevin Hillstrom: MineThatData: Hillstrom's "Fix It"!!! Today I announce that "Hillstrom's Fix It" is available for purchase on Amazon (click here to visit Amazon and see the booklet). The booklet covers some of the ground contained in the Diagnostics / Merchandise Forensics booklets. 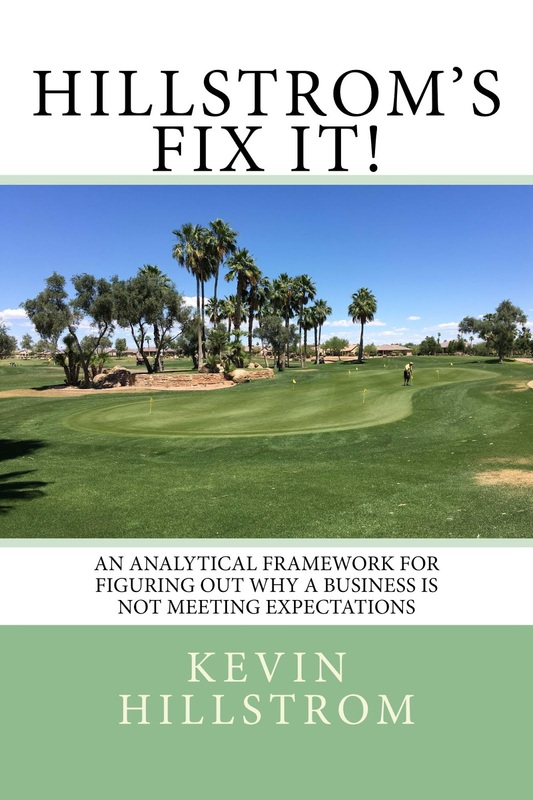 More important, the booklet illustrates how I piece together different aspects of your customer performance to identify what is wrong with your business, so that we can "Fix It"! Rolling 12 Month File Analysis (identifies customer issues). Comp Segment Analysis (identifies merchandise productivity issues). 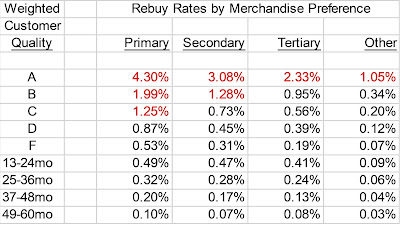 The Annual Repurchase Table (tells us whether merchandise or customer acquisition is most important to your business - or both). The Life Table (illustrates the critical importance of marketing to new customers within the sixty days following a first purchase - demonstrates when a customer becomes "loyal"). Merchandise Forensics (to identify the specific merchandising issue holding back your business). Forecasting (which shows us where the business is headed and allows us to stop problems before the become too big to manage). Trade Area Analysis (for retailers who are struggling with declining performance). When A Store Closes (illustrating if the online channel can recapture sales lost by a closed store - critically important in the era of store closures). 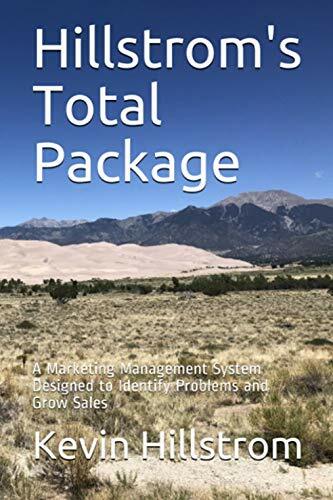 The booklet is designed to provide HOPE ... sure, there are "economic headwinds" and there's "Amazon" ... but there's also all of the stuff THAT WE CONTROL!! Why not figure out what we control and then do something about it! We have the skills to fix the problems that are within our control. The booklet figures out what is going on that is within our control ... so we can "fix it". So buy the booklet and get busy fixing your problems ... just follow the prescription and you will figure out what is wrong. It's not hard! AND A SPECIAL OFFER FOR LOYAL MINETHATDATA READERS AND CURRENT/PRIOR CLIENTS ONLY!!! 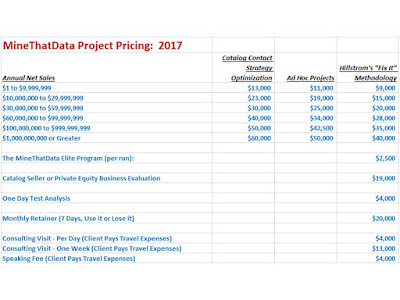 Normal project pricing looks like this - and introductory "Fix It" pricing is now included (I have not run a prior "Fix It" project from start-to-finish, FYI). 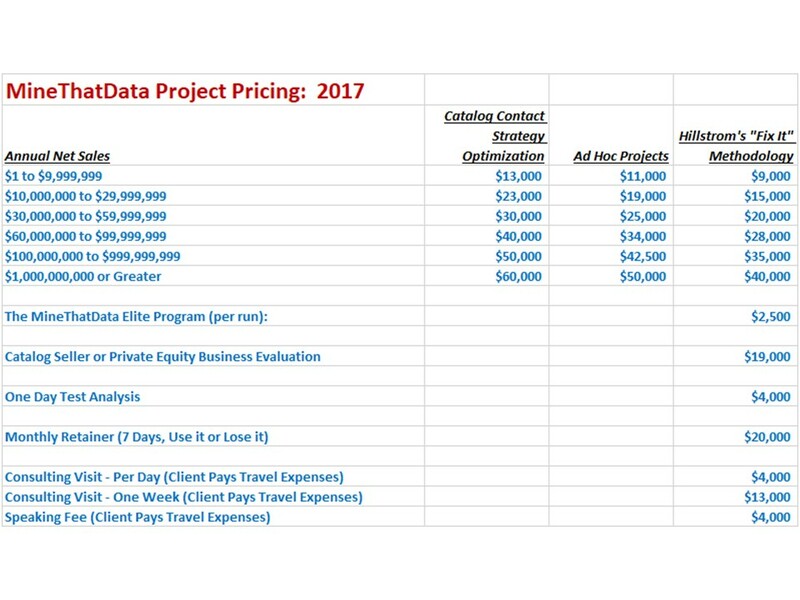 You can see the pricing in the "Fix It" column ... let's try something for long-time loyal readers. For the first three affirmative responses prior to 11:59pm PDT on May 22, your prices are $7,200 / $12,000 / $16,000 / $22,400 / $28,000 / $32,000 instead of the regular prices of $9,000 / $15,000 / $20,000 / $28,000 / $35,000 / $40,000. As you know, you only get "deals" from me when I introduce something new and interesting. This project structure is certainly interesting, because it links all of the tools / techniques used in ten years and 200+ projects to identify what is wrong with your business, allowing you to "fix it"!!! Look, you are dealing with a lot of junk these days. It's hard to run a store when 20% of the traffic is gone because your competition is failing. It's hard to run a catalog when your online customers are fundamentally different and are pushing your business in a new direction. And most important, it's become really hard to run a solid e-commerce operation when Google/Facebook/Amazon have cut off customer acquisition opportunities. So please, take advantage of this opportunity and we'll figure out how to fix what is in your control!! Let's do something positive. Let's identify what is going on within our control ... and then let's "fix it"! !